A six by four metre exhibition stand set on an angle. The back wall incorporates a hidden store room behind the front wall, along with 2 lockable cupboards on the front. The arch adds stability and extra storage with a small lockable cupboard. At the front of the stand there is a freestanding counter also with a lockable cupboard. 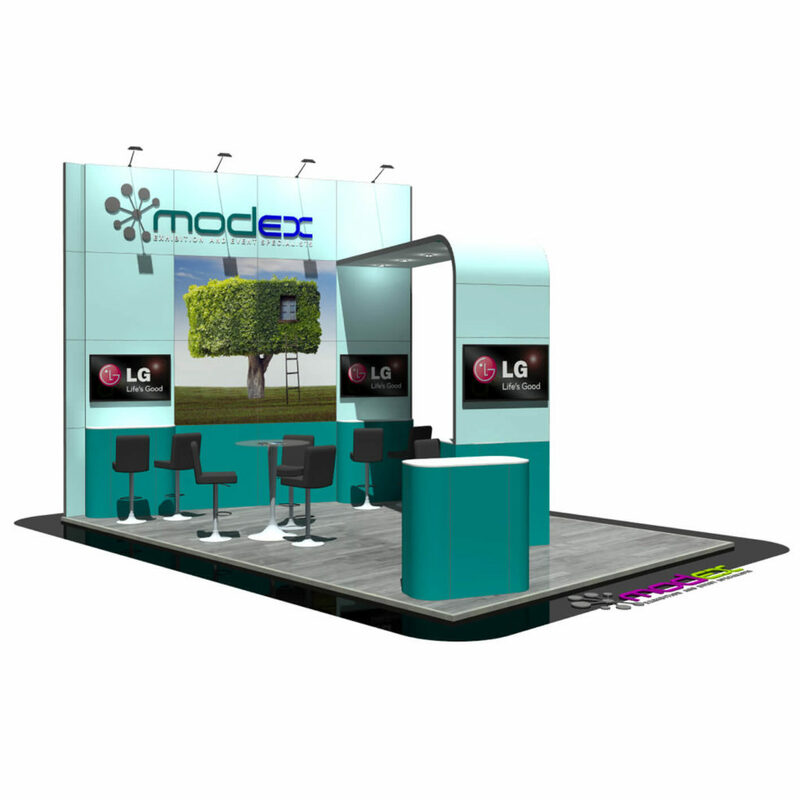 The design of the stand creates plenty of space for meeting tables and extra chairs for customers to sit at. Just add your company graphics on the main wall for that extra impact.